Pediatric dentistry is important because it’s the first relationship that a new patient has with a dentist. That’s why it’s important to make pediatric dental visits welcoming and comfortable for children. The child’s formative years come along with critical dental and oral development. From the first teething to the shedding of “baby teeth” and eruption of permanent teeth, and onward, pediatric dentistry requires a particular acumen and approach that takes into account the beginning of a patient’s dental life cycle. As a family dentist, Dr. Sonny Kim is experienced in treating dental patients of all ages including children with special heath care needs. When you and your child walk into Dr. Kim’s office at Advanced Family Dentistry, we want you to feel comfortable and relaxed. Creating that kind of environment helps to set the stage for a better dental experience and better care throughout a person’s lifetime. We help to provide the right information and the right resources to help busy parents to know that they are appropriately engaged in their child’s dental health and taking the right steps to prevent decay and other problems. Parents should know that the American Academy of Pediatric Dentistry suggests all children should have a dental visit before their first birthday. As the baby teeth are coming in, parents and the dentists can get together and talk about this progress and what care is likely to look like in the years ahead. Of course, a lot of this stage of oral health involves home care, and parents are the ones who have to handle the teething process, along with everything else that comes later, as little ones are getting to know their teeth and how to care for them. As children get older, they will continue to have baby teeth erupt at the gumline. 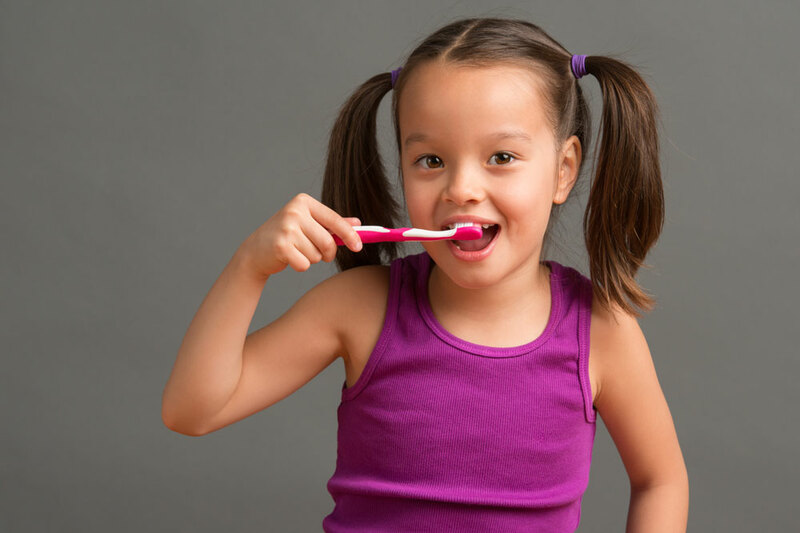 Here it’s important that adult that parents start to foster a good brushing regimen for their children – giving them the right resources, appropriate toothbrushes and toothpaste, and instilling good dental habits through learning about pediatric dentistry and how it works. Again, making this fun for children ingrains these habits and promotes better oral health later in life. As the children get older, they should be seeing a dentist every six months and getting fluoride treatments twice a year, along with any necessary cleanings. In general, children do not use fluoride toothpaste until after the age of two. Talk to Dr. Sonny Kim about this and other specific home care according to your child’s unique health care needs. All of this work will promote better overall dental health for your children. The best dental offices understand that taking particular care in pediatric dentistry is a real value to the family and in providing comprehensive family dental services in a community. Come in and see Dr. Kim and the staff at Advanced Family Dentistry for caring, attentive service in a warm and welcoming environment. On your next appointment with Dr. Kim, you are more than welcome to bring your child to visit our office and meet our team members. This can make your child’s first dental appointment more enjoyable. We want to see you and your family come back again and again to a trusted local dental office that cares!